After presenting the Vacheron Constantin Overseas models for Men over the course of the year, it is time to discover more about the Overseas Small Model, a highly refined timepiece for Ladies powered by an in-house manufactured automatic movement. 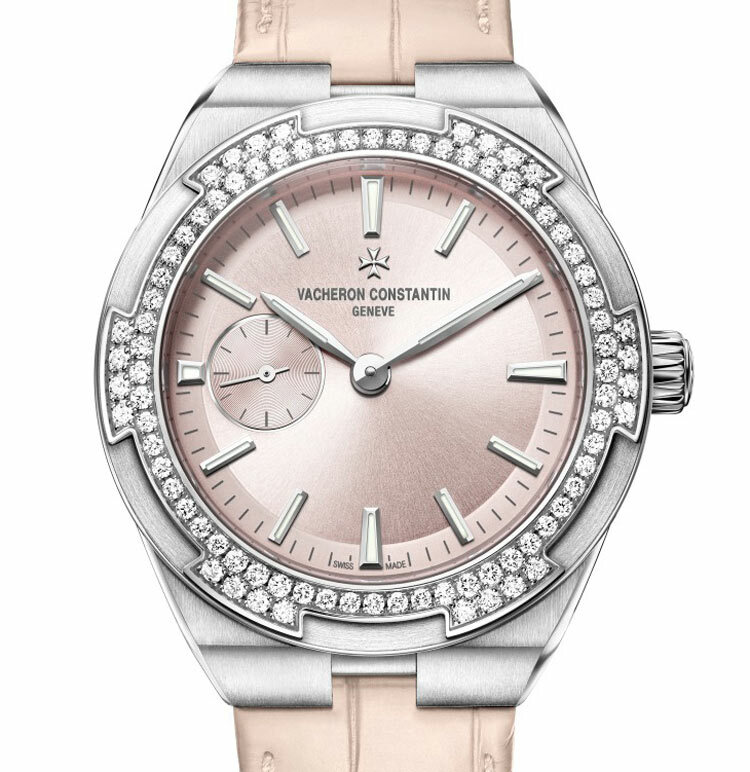 The model is exquisitely feminine and extremely versatile thanks to the possibility to enhance its elegance or its sportiness by just playing with the three easily interchangeable bracelet/straps delivered with each watch (for the pink gold case the matching bracelet is an option). The Overseas Small Model comes with a choice of a translucent brown, blue or rosy beige dial where the gold luminescent hands sweep around the matching hour-markers for perfect legibility of the time. 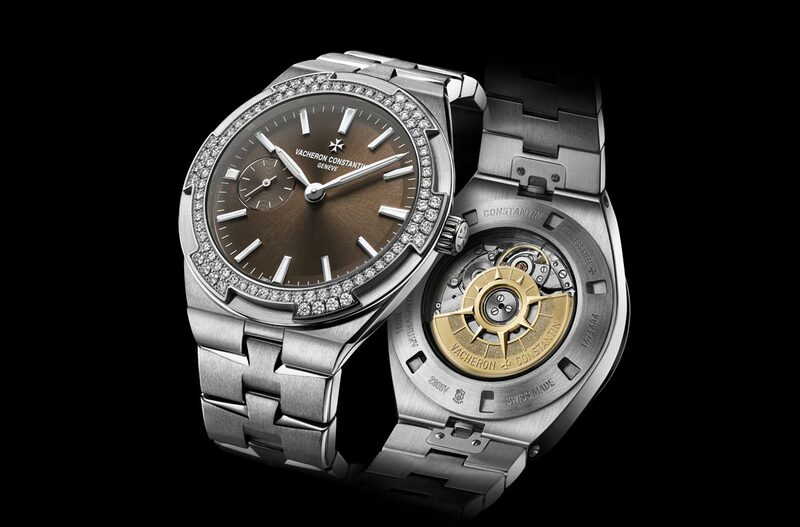 Around the dial, 84 round-cut diamonds totalling over one carat are all set on the signature six-sided bezel. 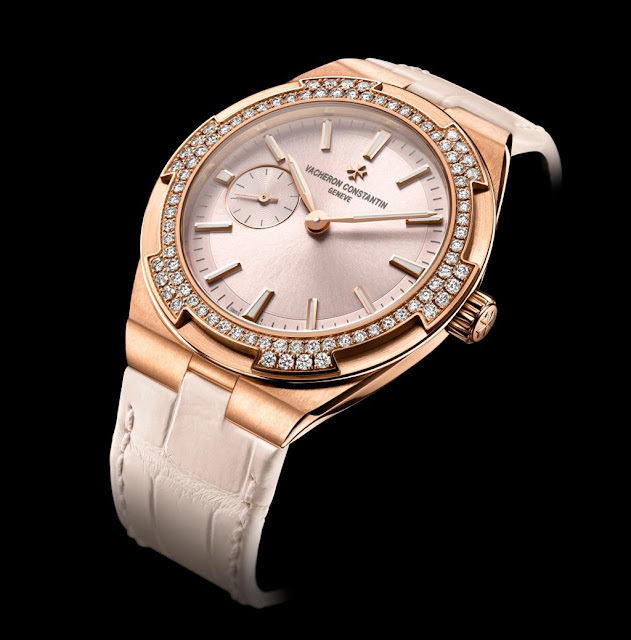 Available in stainless steel or pink gold, the 37 mm-diameter case houses the new Calibre 5300 developed and crafted by Vacheron Constantin offering water resistance to 150 metres / 500 feet. 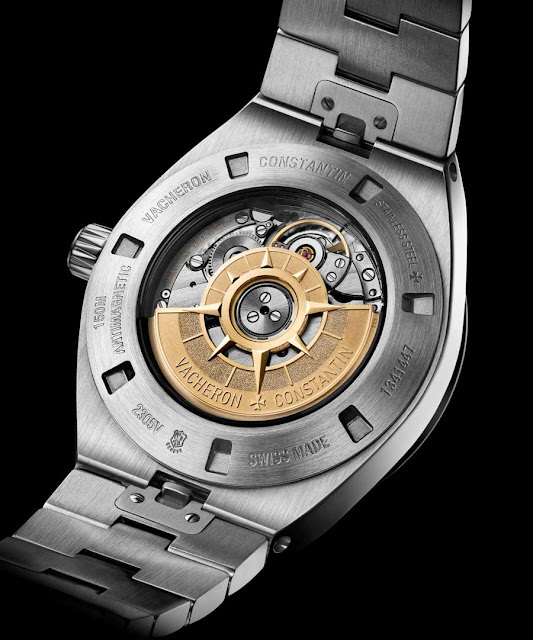 This 128-part self-winding movement beating at 4 Hz (28,800 vibrations per hour) powers the hours, minutes and small seconds at 9 o’clock, while ensuring an approximately two-day power reserve. 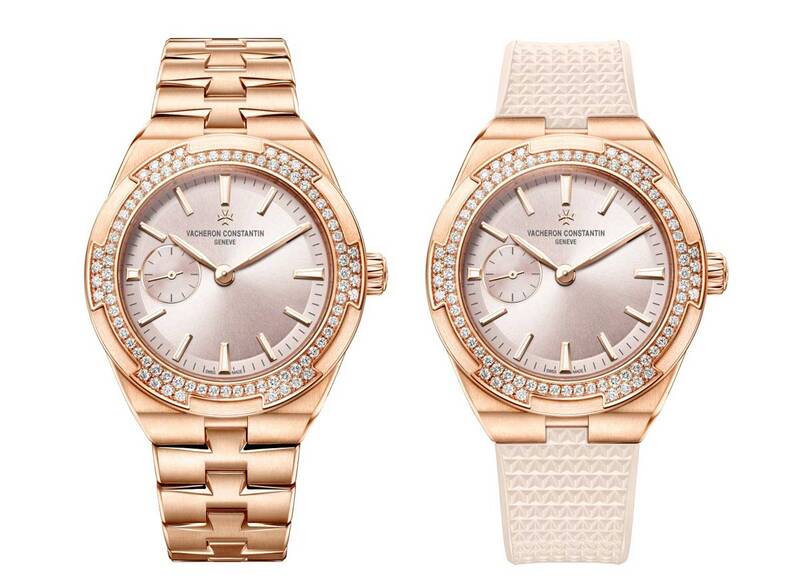 The transparent back case of the watch reveals the 22K gold oscillating weight adorned with a wind rose. This is seriously one of the best watch for ladies that I have seen for years. 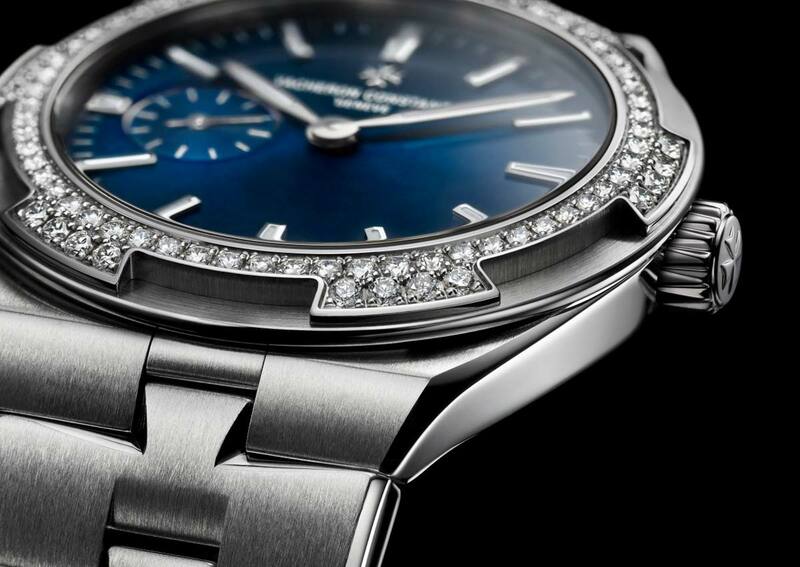 Design, versatility, movement, finishing quality, prestige: all checked. Vacheron Constantin Overseas Small Model Calibre 5300. 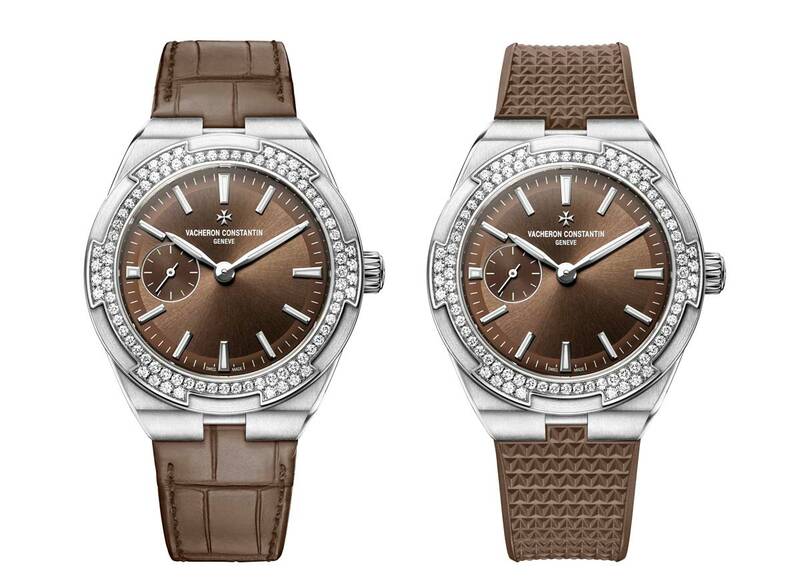 The Vacheron Constantin Overseas Small Model is a highly refined timepiece for Ladies powered by an in-house manufactured automatic movement. 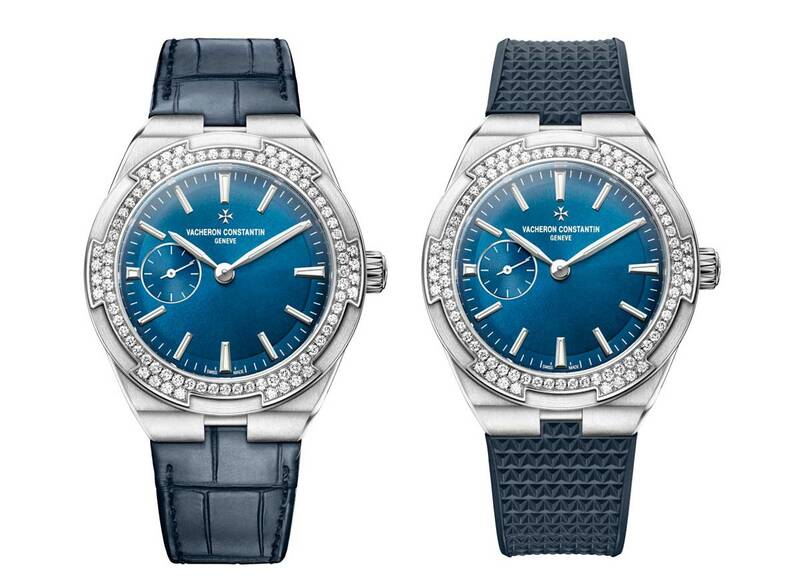 All the Vacheron Constantin Overseas Small Models bear the Hallmark of Geneva to certify their quality with prices starting at around Euro 27,300 / US$ 25,000.